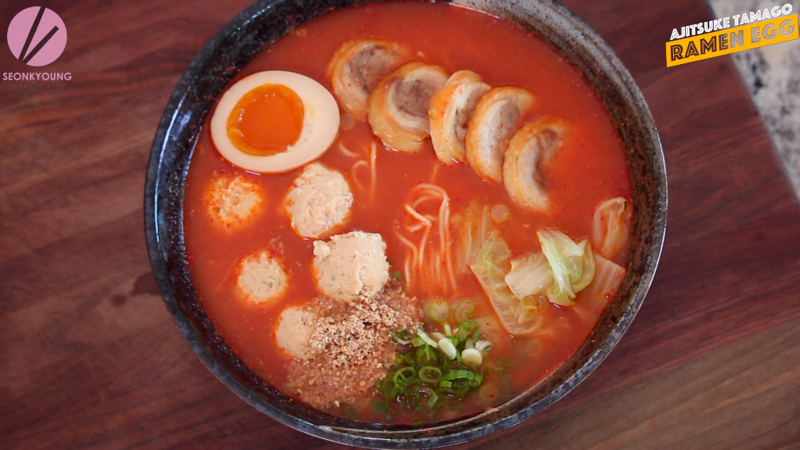 When I shared my Traditional Shoyu Ramen with you all, you guys were dying to know how I made my ramen egg so perfect. 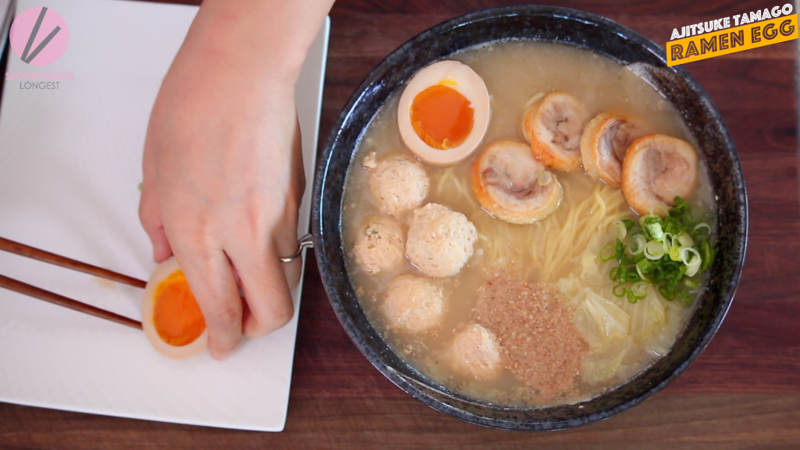 So, here is my perfect ramen egg recipe!! It is very simple recipe, yet, ramen egg is something that correctly executed to have the perfect result. Of course it all starts from cooking the egg perfectly. 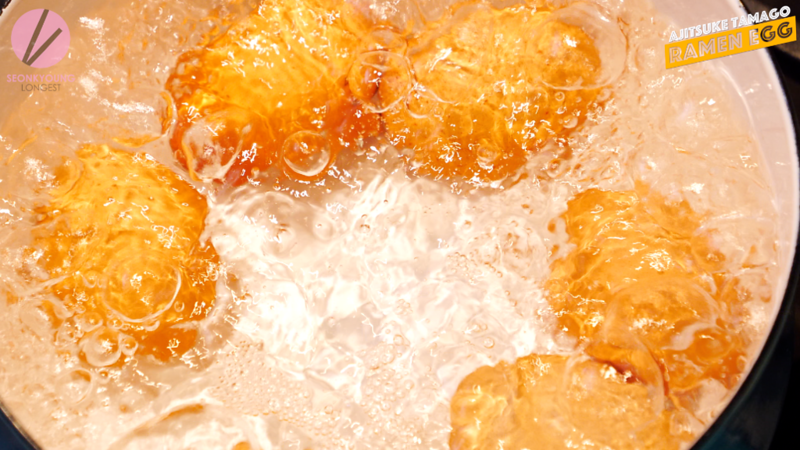 Bring enough water to boil that is able to cover 6 eggs in a medium pot over high heat. 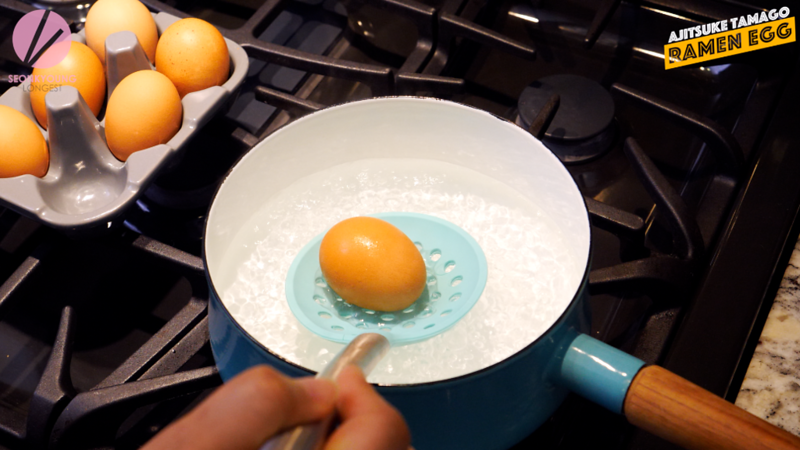 Carefully place cold eggs using a spatula, ladle or a spoon. Cook the eggs for 6 minutes. Stir the eggs occasionally for the first couple of minutes, so the egg yolk will be right in the middle. 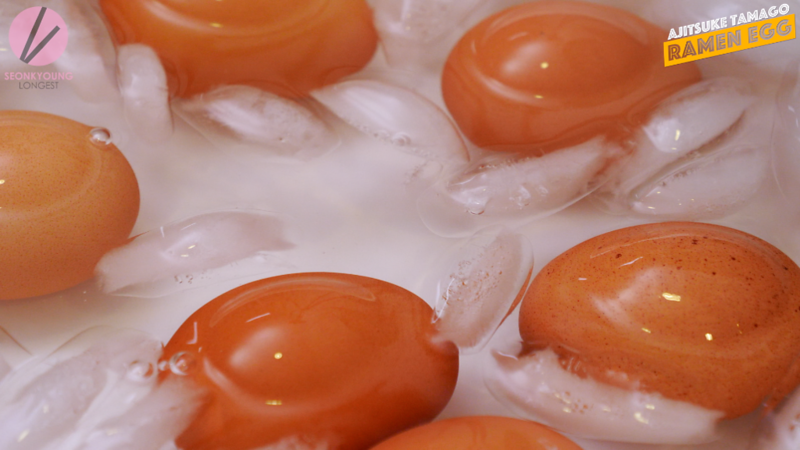 Remove eggs from the water and place in a ice water bath. Let the eggs stop cooking and cool before peel. Meanwhile, let’s make the marinate sauce. In a sauce pan, add soy sauce, mirin and dashi stock. Bring it to boil over high heat and let it keep boil for 2 to 3 minutes, or until the flavors are combined well and the alcohol from mirin has evaporated. 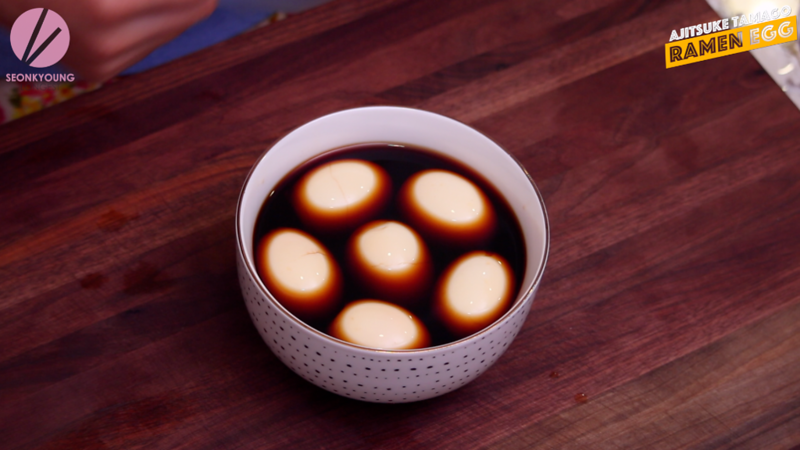 Pour now-cold-marinate sauce over the eggs and make sure eggs are covered with the sauce. The eggs will float, but it will all sink down later. 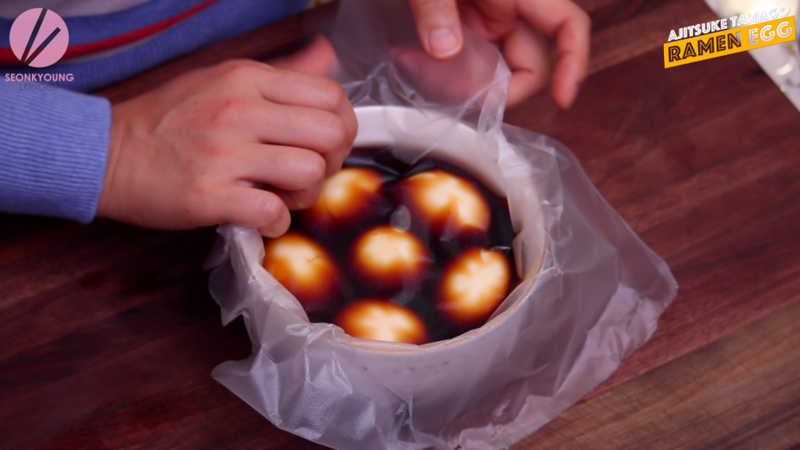 Cover with plastic wrap, touching eggs and marinate sauce. Marinate eggs at least 24 hours or longer. It will last 5 to 7 days in a fridge. 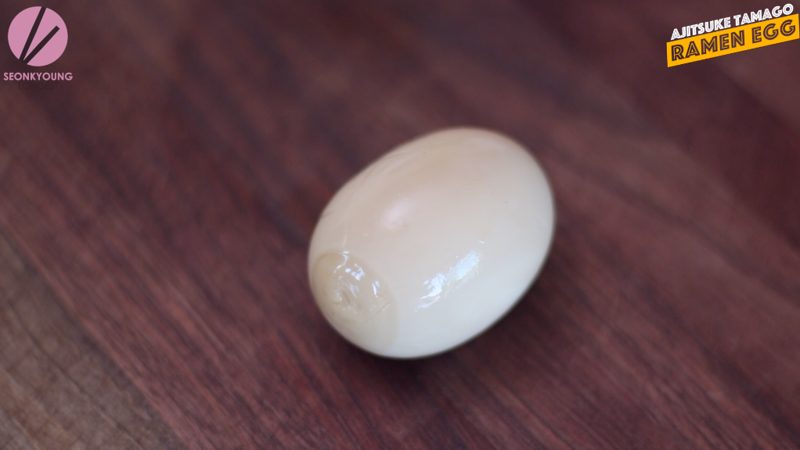 This egg, picture above is marinated 72 hours. You can see even the yolk’s color is getting a bit darker too. Enjoy with a bowl of any type of ramen! Bring enough water to boil that is able to cover 6 eggs in a medium pot over high heat. Carefully place eggs using a spatula, ladle or a spoon. Cook the eggs for 6 minutes. Stir the eggs occasionally for the first couple of minutes, so the egg yolk will be right in the middle. Cover with plastic wrap, touching eggs and marinate sauce. Marinate eggs at least 24 hours or longer. It will last 5 to 7 days in a fridge. Enjoy with a bowl of any type of ramen! 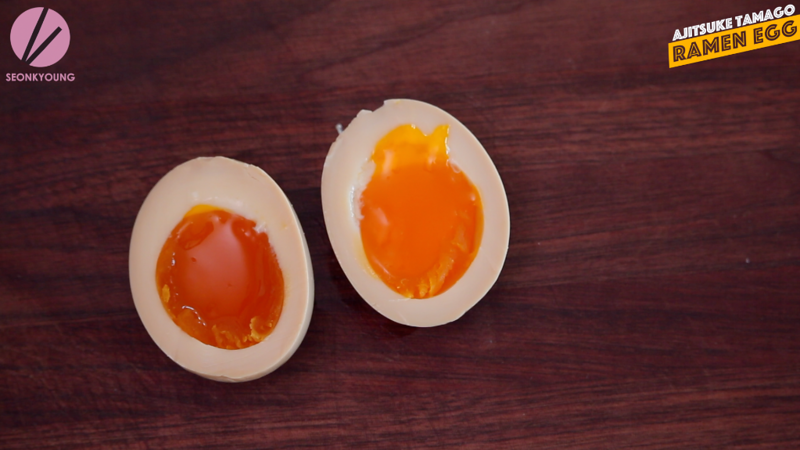 Love the color of that egg yolk, what brand are you usually buy. Thank you. I buy local(North California) organic eggs! My eggs keep cracking when they are put them in the water. I ease them in with a slotted spoon, but they still crack. Any advice? Leave the egg in the room temp for about 3o mins, it will help! Yes, if you’re using it in 7 days! Make sure to boil once before use it! These are for real amazing. Thank you for sharing this recipe. 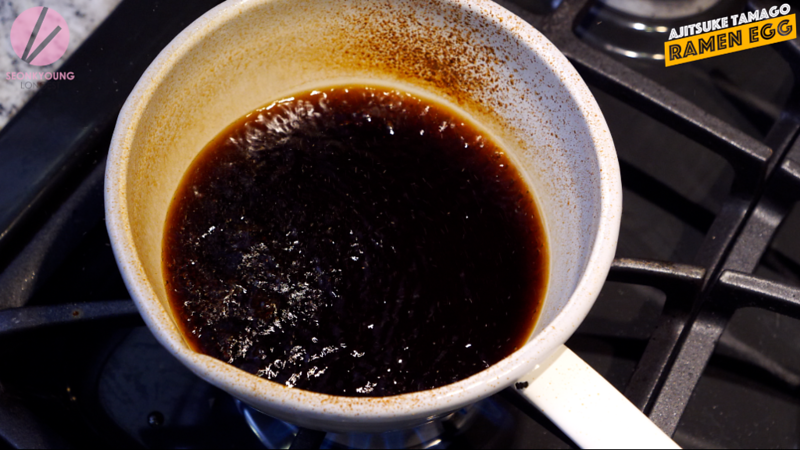 I will probably continue to use this recipe for a long time.